The former job Centre building in Bath St will be the first building to be converted for University use for 100 students at a cost of 3.4 million and will be ready for September 2019. 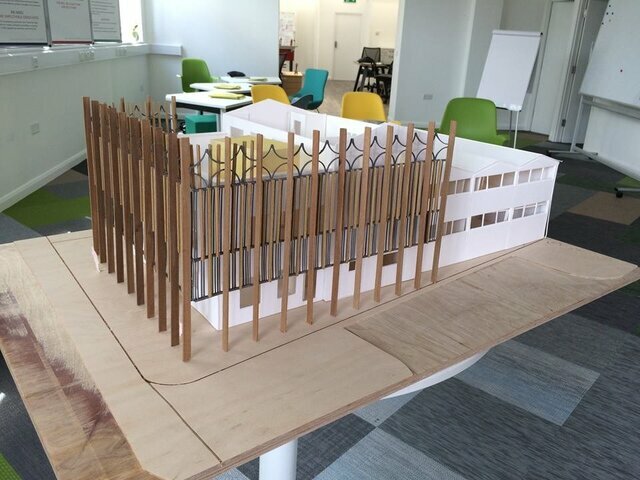 Architects’ drawings, visualisation and a model of the first academic building will be revealed at a public drop-in session at 6a, St Peter’s Street, Hereford on Friday July 27 between 10.30am and 3.30pm. 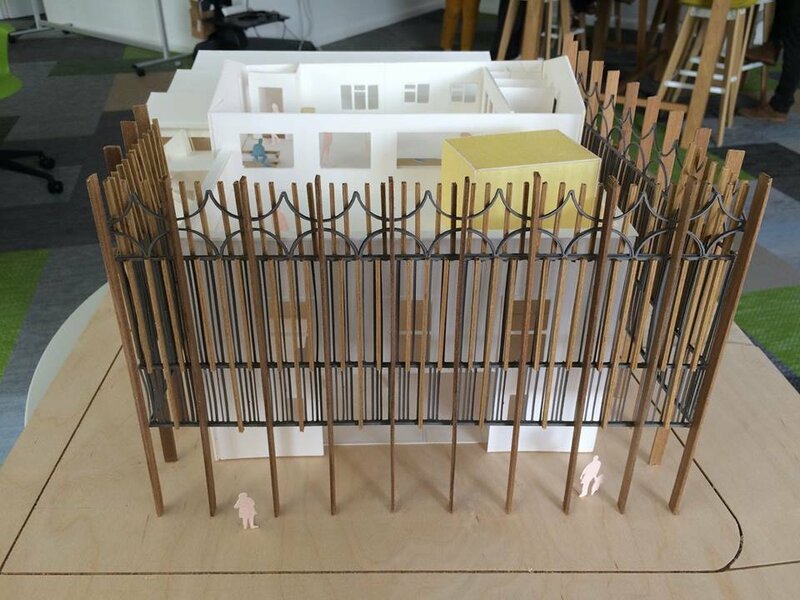 Members of the NMiTE team and representatives of the architects, Architype, will be on hand to answer questions and discuss the plans before a formal planning application is submitted to Herefordshire Council next month. Given the planning application confirms no external extension or alterations, and the building was extensively refurbished in 2013 by C J Bayliss for the Council, it begs the question what on earth are they going to spend £3.4m on? Is the gravy train already rolling? Agree,a lot of money on one small building. They have bought the magistrates Ct too in Gaol St so being three times the size I just wonder how much they will spend on that. I'm thinking they will build the new main campus on the site of Gaol St car park. This is what they think it should look like, what a monstrosity!! It looks like some sort of cage and totally out of character for the area. I do not think one person has posted a positive on this on the FB sites. Just can't understand the thinking behind it absolutely truly awful. This is just the first building they are going to bastardise God help Hereford. I thought this design had already been implemented at the Old Market development. Yes and look how poor that looks in such a short space of time. as for the design of the front of the building they might as well not both…its hideous & it would knock a million & a half off the cost?! Absolutely terrible - what on earth are Architype thinking?! When they put so much effort into the adjacent former Boys Home, this is baffling - it looks like a first year architectural student's doodle's and it should never have been let out their office. It does nothing, quite literally, save for blocking the views out of the building and screening the front elevation, which is a quite attractive modern classical design (with the centre entrance panel completely buggered by the Council over the years, obviously, but that can be put right). When it rains, water will stream down the boards onto anyone or anything below and then splash, stain and wear away the pavement. Just ridiculous and a complete waste of money to even get to this stage. Why is the current planning application for change of use saying there will be alterations to the building? I see that Architype have been bumped off the former Boys Home scheme next door in favour of Quattro Design Architects of Gloucester, presumably to 'value engineer' it. There is some hope then that this absurd manifestation will not go ahead, especially as September is barely 9 months away and there is no sign of any work starting on site. Given they're no requisitioning the Robert Owen buildings, will it even be needed, in the short term at least? Travelling to Bristol Frenchay Hospital the bus I use passes through the University of the West of England (UWE). Although the numbers of students is far greater in Bristol than proposed in Hereford it is immediately apparent that what is needed is a campus which has an identity to promote itself. A Victorian building, the Robert Owen School, up a side street doesn't convey an image of cutting edge technology and engineering for the future. It is obvious that the piece meal approach to creating a university isn't going to work. Build a proper campus at Rotherwas and put it on a proper footing to attract potential students and provide facilities to match.